Woke very early this morning (Sunday), before 05:00 hours. We ran the engine all last night again and didn't get much sleep, exasperated by there not being much heat in the cabin due to the failure of the Webasto heater. By 08:00 we were on the move toward Hurleston Locks and the ice got thicker and thicker. At Hurleston Junction I had a job to turn TQ in the ice and I had to reverse several times and ram the ice to get TQ pointing in the right direction. Made it to Barbridge and that is as far as we were to go. I did a recce up the Middlewich Branch on foot, and the ice was 30mm thick or more so there was no way TQ has enough horsepower for that. I left Lin to do the housework and packing as we had decided to go home, and walked the 3.5 miles to Aqueduct Marina to collect the car, and brought it back to Barbridge Marina where we were able to load up near the water point. I then reversed TQ back to the mooring and went through the stages of shutting down the systems. I estimate that by this time the engine had been running for about 60 hours continuously. We made our way to Aqueduct Marina and handed in the keys, and then it was back to Sandbach and the M6/M5 to Taunton. Home at last. I hope our next holiday aboard TQ is is somewhat better than this one. After overnight light snow its been quite a good day weather wise although its very cold. so far we seem to have got away with most of the white stuff. We've been a bit tired all day due to us not sleeping very well. We have to leave the engine running all night because if we stop it we won't be able to start it again. We're not moored near a boatyard so there is no one nearby to help if things get dodgy. We tried to get water at the top of Grindley Brook Locks but our hose is blocked with ice and the water pressure at the tap was not enough to push it through. We're not desperate for water yet, but it would have been peace of mind to have filled up. Due to our battery problem we're not able to leave TQ unattended with the engine running which means we can't stop for lunch at the Willey Moor Tavern so we have to keep going until the cold beats us. 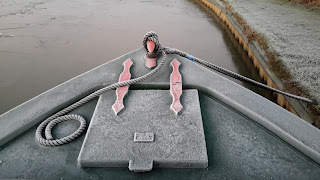 We're moored on PVM (public visitor moorings) at the top of Baddiley Locks about 4 or 5 hours from our mooring at Aqueducd Marina, but I fear there's going to be some thick ice on the cut tomorrow morning from Hurleston onwards which might delay us. The Webasto heater stopped working again tonight and it refuses to start, so the only heating we've got is the stove and its not enough to keep the boat comfortably warm. We're having to leave the engine running all night again and we've decamped our sleeping arrangements to the saloon so that we're nearer the stove and further away from the engine noise. We over slept this morning, not getting up 'til 08:00. Ice on the inside of the windows again was a sign of things to come. Switched on the Webasto heater and it fired up OK but I was worried the current drain on the starter battery might mean the engine won't start. My fears were realised when I turned the ignition key to heat the plugs, as all the control panel lights went dull and when I tried the starter and the engine groaned as it tried desparately to compress the air in the cylinders. Then something odd happened, I took the key out of the ignition switch, and the engine tried to turn over again. I just put it down to air compression in one of the cylinders expanding and turning the crank shaft. Rare, but its posible. (You can tell I have an interest in engines can't you. 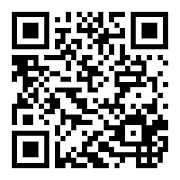 Check this out). So I went into Blackwater Meadow Marina and asked if they could help and they were very happy to do so. Their engineer came out with a power pack and when he removed the battery cover the starter motor engaged and tried to turn the engine. So there's an electrical short somewhere there. Anyhow the engineer (Sorry I didn't get your name) easily managed to get the engine running and then tested the current being produced by the domestic alternator. I sense more trouble here, its only producing 20 - 25 amps where it should be closer to 100 amps. He recommended not stopping the engine until we get to our destination preferably near a boatyard. Well we've ended up at the top of Grindley Brook Locks, on the PVM (public visitor moorings) away from everyone else as we have to run our engine 'til very late. We passed the Viking Afloat boatyard at Whitchurch and I asked if they were open tomorrow morning, (Saturday) unfortunately at this time of year its Monday to Friday only. So now it looks like we'll have to keep the engine running all night, to ensure we can move tomorrow morning. Our holiday is now becoming just a little bit of a chore now, and we're beginning to want to go home...after having arranged to extend it by two days! On a brighter note we saw three kingfishers today, and we had some snow...just a light sprinkling, but I dare say there may be more in the morning. I hope the cut doesn't freeze up too much, though I fear the Shroppie Main Line and the Middlewich Branch are more likely to freeze as they don't flow like the Llangollen does. Sorry there's no pix today, after this mornings caper I forgot and didn't feel like getting the camera out. I banked up the stove before we went to bed last night, and it promptly went out. So it was cold all last night and we woke early as a result to ice on the inside of the windows. The Webasto heater started OK but I was concerned about the capacity of the batteries being able to start the engine. It started on the second attempt and then it was only just. We slipped our moorings at 07:30 hours and cut through the ice in Trevor Basin and along the Pontcysyllte Aqueduct. From the end of the aqueduct there was no more ice for the rest of our journey today but wasn't it ever cold. Our location for the last couple of nights. Notice the light dusting of snow. Its Hurleston for us today. The football ground under the aqueduct. I did the two New Marton Locks on my own as it was a bit cold for Lin and I found them easy but of course we're going down hill now so it would be easy anyway. We didn't stop until we got to Ellesmere and we had to go down th arm and seek out a mooring but there was only one space big enough and there was a dog (possibly barking later) on the boat in front so that was a no no. We chugged up to the end and winded (turned around) and came back out again. Lin said there was a space just outside the arm on the left in the evening sun but when we got there it was taken up. We moored a few yards further up but not long after we arrived a dog started barking in the big house opposite. Lin went to do some shopping in Tesco and when she came back the dog was still barking so we slipped our moorings and moved on to a spot just around the corner past Blackwater Marina. As we pulled away the dog stopped barking...Arrgh! Anyway its quiet here and if we run into engine/battery trouble tomorrow morning the marina is right here. Frankton Top Lock on the Montgomery. Bridge 69 at Frankton Junction. It was a lot closer than it looks in the photo! ﻿It was so quick I quite litterally pointed and shot! and I'm quite pleased with the result, the cloud is well defined and everything else is near sillhouette and the sun hasn't made a white line from top to bottom. Taken with a Canon Powershot A470. There's never a dull moment when boating. Last night the diesel heater decided to switch itself off. OK, fair enough, it was warm in here so I didn't think any more of it. I just switched off the control panel when we went to bed. This morning it wouldn't fire up despite voltage meter reading over 12 volts. I thought I'd fire up the engine and try again. Guess what? Starter battery dead flat despite running the engine 'til 20:00 hours last night. Now as it turned out, the two faults were not connected. The alternator that charges the starter battery is ph^(<3), and together with last nights frost the battery refused to play the game. So I phoned Paul and spoke to Ken. (Don't ask). He said as we were in Trevor Basin ask Anglo Welsh if they could help, (saving a call-out fee), and they were happy to help. Tony from Anglo Welsh jump started the engine from the domestic batteries, and tested the alternator while the engine was running and this confirmed our thoughts. The quickest and easiest way around it was to connect a link between the domestic and starter batteries, and let the domestic alternator charge the starter battery aswell. We now have to be careful not to let the domestic set run down too much. Next, on to the Webasto heater. Oh! dear, how sad, never mind. The rubber water supply and return hoses connected between the heater and the water circuit had collapsed stopping the flow to/from the heater so the pump had stalled and the water in the boiler had over heated hence the auto switching off last night. Tony removed one of the supply hoses and there was no water in it. I checked the water level in the expansion tank and that was 3/4 full, it was then I noticed the valve under the tank was off! Of course, that's it! With the valve off the water cannot expand with the heat so the rubber hoses expand and probably there's some loss of water, possibly through a pressure relief vent. When it all cools the water contracts and hence the hoses collapse. So the solution was simple, connect it all up again, turn on the valve and try again. Success! after a smokey start it was away. Tony fitted some curly wrap around the hoses to help re shape them and re terminated one of the hoses removing the flattened part. And it was all serviced last week, I reckon someone forgot to turn on the valve again. A big thank you to Tony from Anglo Welsh for getting us out of a sticky spot. 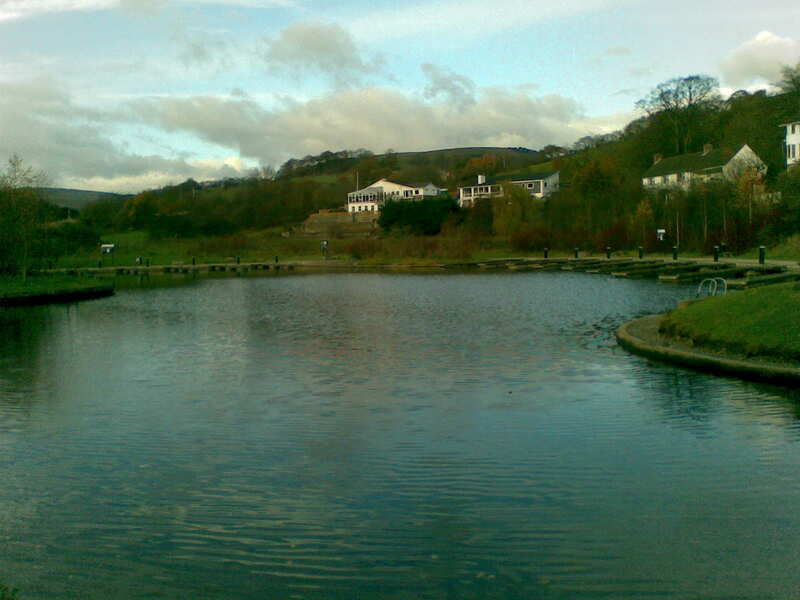 The vacated Llangollen Marina - a sorry sight. On to more normal things and we'd planned to go by bus into Llangollen today- we did, but much later than expected. After lunch in the Corn Mill (very nice) we did some shopping in the town and its not change much since we were here some four years ago. The old coach company next to the canal has gone and flats have been built in its place, and that's about it. The rest is much the same, which is good in my opinion. The canal is still closed at Trevor, but on our bus trip which runs next to the canal for some way we could see no evidence of any works being carried out, and the canal is full all the way. There are no boats up there only the trip boats, and there were no boats in the marina either. Back to TQ and I stoked the stove and tested the heating, all OK, and then I went for a walk across the Pontcysyllte Aqueduct to the lifting bridge in Froncysyllte and back on the other side of the cut to the aqueduct, then under it and back up to the towpath again. A lovely late afternoon stroll. The weather forecast doesn't look good, there's a high possibility of snow over the next few days, we'll have to keep a watchfull eye on it. DON'T MISS OUT ON MONDAYS BLOG, IT'S BELOW. Made an even earlier start today and lifted the hooks shortly after 07:00 hours and proceded up to the first of the two New Marton Locks. I was hoping to do this one on my own but Lin emerged from her pit in time to steer TQ into the lock. The scenery is becoming more interesting the further we go and is quite dramatic as we approach Chirk. We couldn't have wished for better weather to do this in, in fact for once the weather has been kind if a little chilly, but we can put up with that. The thing is with this part of the world there is more excitement just around the corner, quite literaly as we cruise the aqueduct and then into Chirk Tunnel. Who would believe an aqueduct high above the valley then straight into a tunnel...amazing. The railway is on the adjacent viaduct and the canal bends left through the tunnel under the railway. There is so much going on here. As the canal follows the contour of the hills it bends and narrows as it flows through Froncysyllte, throught the lifting bridge around the bend and across the Pontcysyllte Aqueduct. This is 1007 feet long, and 216 feet above the River Dee. Not for the feint hearted as there are no railings on the offside. We turned left in Trevor Basin only to be stopped by BW workers who told us the canal was closed so we had to back out the hundred yards or so back into the basin where we moored up. This is the end of the line for us, so we went for lunch in the Telford Inn and very nice it was too. We had Telfords Steak Pie with potatoes and peas. As much as we could eat. As we can go no further on the cut, we plan to catch the bus to Llangollen tomorrow. ﻿The edge of the aqueduct is 2" wide. 50.8mm in new money. And that's 126 feet down into the River Dee! ﻿Not quite straight as a die, but that's the railings. Another long day today as we slipped the rings at Whitchurch at 07:30 in the rain and set the lifting bridge so we could pass under. Something that surprised us was the length of drain pipe stretched across the entrance to the Whitchurch Arm with a sign saying "Arm Closed". We saw a boat enter the arm yesterday evening, so what that's all about, I haven't a clue. There's another sign in complete contradiction saying "Welcome to Whitchurch". Maybe its been handed over private moorings, I guess that's most likely. A short way past Whitchuch and we're on new water for us. 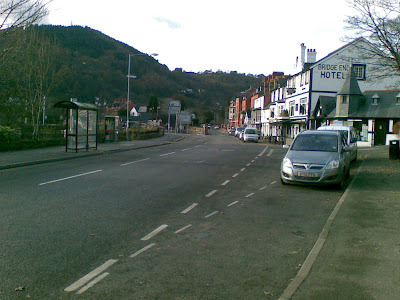 We've been to Llangollen many years ago but not with TQ. We stopped briefly at Bettisfield to fill up with water, and it took half an hour so we were pretty low. I remember the last time we came this far we decided to stop for lunch at Cole Mere and the weather was so hot we had to move the boat up to a shady area and we had lunch in the cratch. Today, in complete contrast was very cold and damp. Needless to say we didn't stop for lunch this time. We were considering an overnight stop at the Jack Mytton but its closed until Wednesday evening. Perhaps we'll visit on the way back. I thought it strange that the bridges are numbered 1 from Hurleston to 69 at Frankton Junction, and 1W from Frankton Junction to 49W at Horseshoe Falls. I guess the W means West. Tonight we're moored between the Jack Mytton and New Marton locks having set the mooring hooks in at around 16:30. Untied the rings at 07:30 this morning and headed off toward Hurleston Junction. Made the turn to go up the four locks where British Waterways ask you lift your fenders. I heard Lin laughing and looked around to see her pulling up her trousers. "How rude", she said. Cruising on and there is a new marina opened up since the last time we were here at Swanley. It's huge as can be seen in this photo taken from Swanley Lock No.2. ﻿When we were on Tranquility in September we managed to pick some sloes to make sloe gin for Christmas. I noticed there is still some on the bushes, the birds haven't eaten them and I wonder if this is a sign that its going to be a hard Winter. ﻿We arrived at Whitchurch without any hitches as it was getting dark and we're moored on the public moorings just short of the lifting bridge No. 31. After nine hours cruising the batteries ought to be well charged so its X Factor tonight (not again). Lin just asked "have we got to get up at stupid O'clock tomorrow?". "Oh! yes" I replied. Thats it for now, will blog again tomorrow. It seems a long time ago the alarm went off at 04:00 hours. We finished the packing with the last minute items and by 05:45 we were on the road. Then it started to rain and became progressively worse the further North we travelled. The M5 was awash between Bristol and Gloucester, it hammered down. Just North of Gloucester it was dry and further North the sun tried to shine. No hold-ups along the way and we were in Sandbach by 08:45 after a short stop in the motorway services. Met up with Artie at Elton Moss and he kindly gave us a lift to the AGM in Middlewich. We didn't want to leave our loaded car in an unsecure car park so we left it at Elton Moss. The AGM went well, it had an easy atmosphere about it, and some radicle decisions were made about the inside and the outside of TQ. After the February maintenance slot TQ should look very different. Watch this space! A lot of work has already been done, the Webasto heater has been serviced, Bubble stove has been blacked and chimney swept, galley floor has been sanded and two coats of varnish applied, a new stern button fitted, shower resealed, and woodwork inside the windows resealed, engine room degreased and cleaned, anti-freeze checked and topped up, etc. etc. etc. After the AGM Artie brought us back to Elton Moss and we made our way across country through the lanes to Church Minshull and on to Aqueduct Marina. Poped into the reception (very posh) and enquired about the keys for TQ. Guess what, they couldn't find them, further they didn't know where TQ was. An engineer was called and he knew where TQ was and he showed me where and we looked in the gas locker and lo and behold there were the keys. We unloaded the car and awaited a visit from a prospective share purchaser and he turned up early - ideal. He just wanted to have a look around TQ with a view to buying a share. All that done, we chugged our way out of the Marina and headed to Barbridge where we're moored for the night. Had a good meal in the Olde Barbridge Inn, nice, although its looking a bit careworn in places. Sorry there's no photos today, haven't unpacked the camera yet. Not only that the 3 connection is a bit, no, very slow here so I doubt photos would upload anyway. Thoughts are now turning to our holiday. I've been watching the stoppages and found the only route we can take is from the new Aqueduct Marina on the Middlewich Branch to Llangollen. We have temporary moorings at Aqueduct Marina and this is where TQs maintenance is being carried out as Elton Moss is locked in by the stoppages. TQ has been moved from Alvechurch and will stay around the Church Minshull/Elton Moss area until the Spring when she'll be moored at Calcutt. At least that's the plan. Our AGM is on the 20th November so we'll know everything for sure by then. I've a feeling we won't get to Llangollen due to the shorter daylight hours at this time of the year, but you never know. Lets just hope the weather holds out.